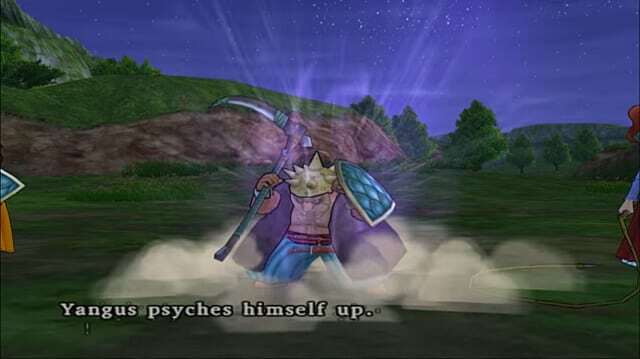 When Dragon Quest VIII: Journey of the Cursed King made its way over from Japan in 2005, it was a revelation. Apart from being one of the best-looking games on the Playstation 2, it was a genuinely terrific RPG. 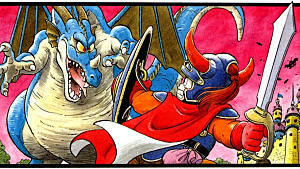 The Dragon Quest series had something of a checkered history, especially outside of its native country where it was renamed Dragon Warrior. 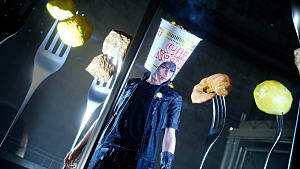 The eighth game in the series was the first to use its original name in the US, and it succeeded in attracting a significant number of new fans who were looking for alternatives to Final Fantasy. Its main rival had spammed the PS2 with three main entries and an online game in a four-year period, so DQ8 was released at the point of Final Fantasy fatigue for many fans. But it wasn’t just great timing that got the game some well-deserved recognition. 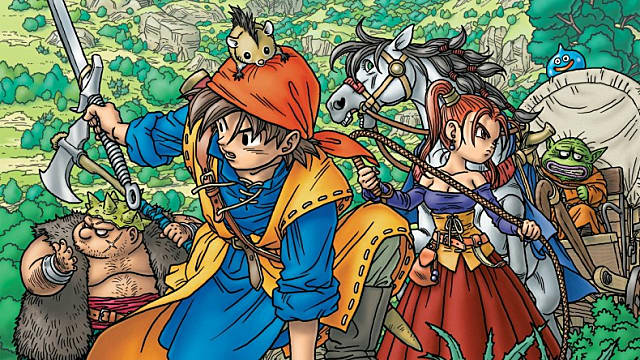 DQ8 was a triumph -- not only for the genre, but within its own series. And the recent Nintendo 3DS release went a step further in improving the game for a whole new audience. Its success can be put down to five key factors. 1. It had brilliantly acted characters. 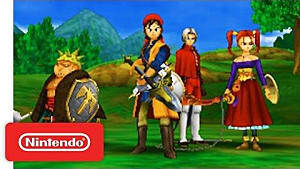 Like all Dragon Quest protagonists, the hero is silent in DQ8. But thanks to some superb voice acting from an almost entirely British cast, he was supported by a memorable cast of characters. Yangus was a Cockney geezer channelling Ray Winstone, Jessica was a no-nonsense English lass in pirate garb, and Angelo was a rebellious Templar knight. What distinguished these companions from those of previous games was their fully rounded characters. All of them had a backstory to share, and the nuance of each was revealed as you progressed. Angelo’s brash demeanor hid a more poignant tale of childhood woe, while Yangus’ tale of redemption was emphasized by his implied relationship with Red -- who, along with Morrie, was one of two new characters added to the 3DS version. It wasn’t just the playable characters that were notable. The eponymous cursed King Trode spent most of the game as a toad-like creature, which made his plummy accent even more hilarious. The pantomime villain Dhoulmagus hammed up proceedings no end, and even Medea -- the princess who got turned into a horse -- had her moments, mainly through some wonderful animation and facial expressions. 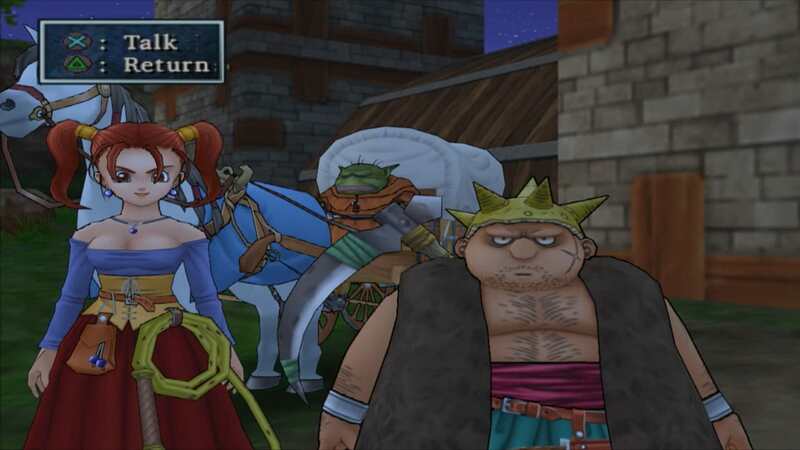 Other games in the series offered playable characters of varying quality, but none of them matched the tight-knit group in DQ8. Its sequel did away with predefined party members entirely, in favour of a completely customisable group. In doing so, it lost a lot of the charm of the previous entries -- something that we hope will be restored in the forthcoming Dragon Quest XI. 2. The music was incredible. The game boasted a sweeping, fully orchestrated and unforgettable soundtrack which even today ranks as one of the best gaming OSTs ever composed for an RPG, and certainly bests the music from other entries in the series. The intro blasted you with the majestic pomp of horns and drums, appropriate for a regal toad and his horsey daughter. 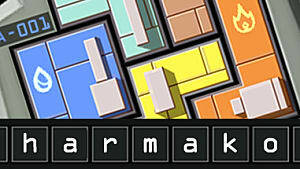 In-game tracks flitted between the mysterious outdoor exploration of the huge game world, the comforting town themes that altered between day and night, and the frantic boogie-woogie comedy of the various casinos and bars you came across. While there are certainly stand-out pieces, the entire soundtrack was a marvel and pulled you fully into the medieval world like no other adventure. 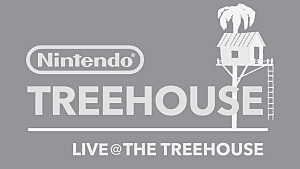 That the orchestrated version had to be sacrificed in its port over to the 3DS was a shame, but it was a necessity in order to retain the fabulous voice acting. Still, the original themes were faithfully recreated as well as they could be for a handheld console. 3. It had awesome mini-games and a fantastic arena. Though the story was engaging, like many of the best games it’s nice to take an occasional break from trawling the landscape in search of fame, fortune and a cure for animal metamorphosis. DQ8 provided ample opportunities to unwind via a casino packed with three mini-games. Roulette, slots and bingo were all available and themed appropriately with slimes, and they were a great way of making a bit of extra gold as well as being enjoyable in their own right. There was also a monster arena into which you could enter a team of creatures. By defeating specific enemies on your travels, you had a chance of recruiting them into your team and then working your way up the levels of the arena to win valuable items. Aside from being a fun little diversion that yielded some nice treasures, it also let you experience the numerous monsters' attack moves, of which you’d normally be on the receiving end. There were a few surprises too -- if you had specific members in your team, they could combine to unleash incredibly powerful deathmoves. For instance, if you recruited all three members of The Slime Squad, they would be able to merge into Ultrus -- a massive slime that was pretty much undefeatable in the early levels. The arena therefore offered you an incentive to explore the game world and track down new additions for your team, which you would be more than happy to do. 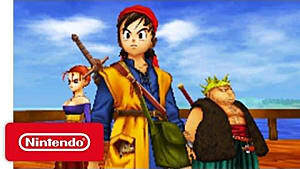 The DS remakes of earlier entries added in mini-games too, but it was DQ8 which set the bar and offered players the most interesting diversions. 4. It was a genuinely interesting world to explore. 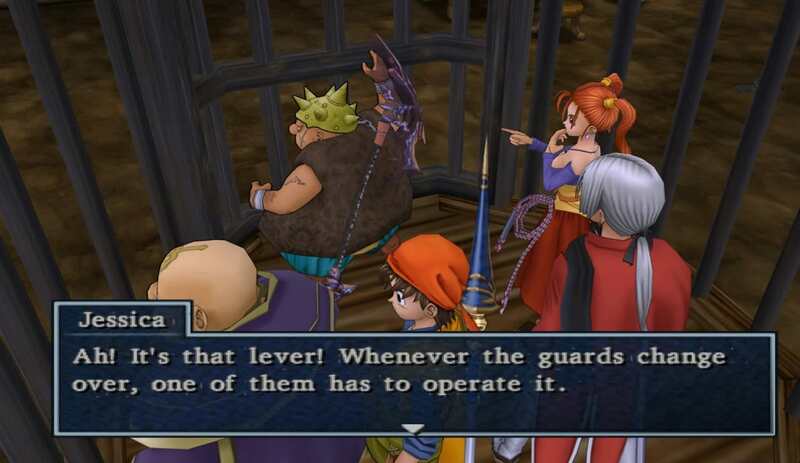 DQ8 was huge. 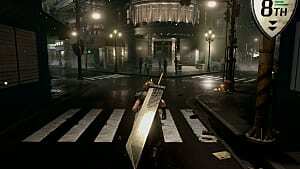 As far as open world games went, it ranked as one of the largest in the series, even on the PS2. But unlike many open world games, it wasn’t just padding -- exploration was rewarded. Treasure chests could be found perched on precarious cliffs. Hidden caves contained monsters and riches, and there was even an optional boss and a series of trials once the game ended which revealed more about the Hero. As with previous entries, the PS2 version was notable for its random battles which you either loved or hated. Since you would be traversing vast swathes of the world map towards any given town, village or dungeon, the encounters were fortunately more fun than grind thanks to a stellar series of enemies. Thankfully, the 3DS version replaced random encounters with visible ones, meaning that the choice to fight was entirely in your hands -- but the pleasant surprise of encountering a weak metal slime for uber experience wasn’t quite the same. 5. The gameplay hit the RPG sweet spot. 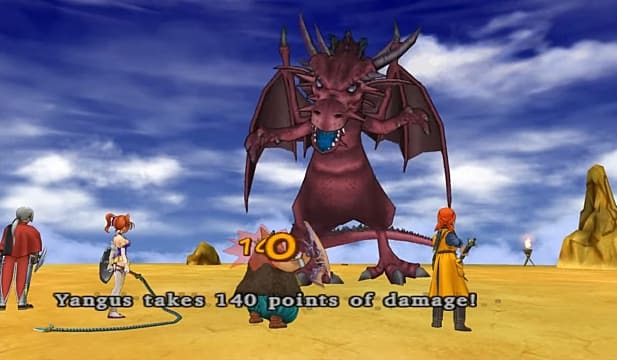 Turn-based combat might not be everyone’s cup of tea, but DQ8’s battles managed to endear themselves through a combination of simple mechanics, colorful foes, interesting attacks, and a heap of strategy. The weapons, armor and magic items you carried were replaced with regularity by new and interesting gubbins, and your exploration of the overworld often rewarded you with goodies beyond your level. Blasting through slimes which caused you issues at the start of the game in one hit of a boomerang was immensely satisfying. Whilst basic combat moves were the usual assortment of attacking, defending and magic, you could also psyche up your characters -- sacrificing their turn for the chance of a more powerful attack on your next go. You could also stack these psyche ups which resulted in a state of “super high tension” once you’d hit the final stack, and allowed you to unleash a blisteringly powerful attack. Enemies were also able to increase their tension -- and with the to-and-fro of sapping, befuddling, and countering, combat was a frenetic affair tempered only by the moderate speed of turn-based battles. Even that has now been improved in the 3DS version with a high-speed combat mode which, combined with the new visible encounters, means that fighting has never been so much fun. Especially when Yangus breaks out his Underpants Dance. When you add in the additional monsters, cutscenes, dungeons, weapons, and modes offered by the 3DS version, there's simply no reason not to pick it up. 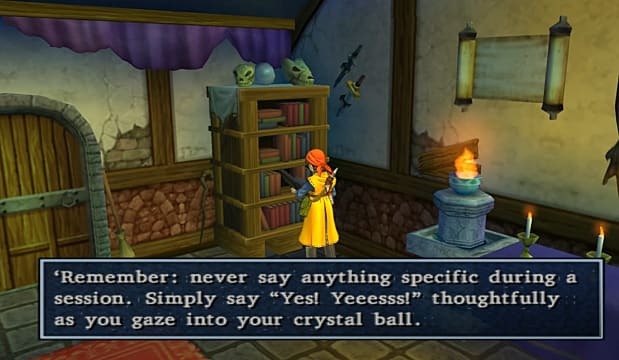 Dragon Quest X never made it over to Western shores, and while IX was well-received, the lack of a traditional party structure made it feel somewhat distant and impersonal. The eleventh entry in the series is scheduled for later this year, but we can only hope it lives up to the extraordinarily high standard set by Journey of the Cursed King. 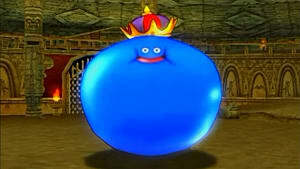 Which of the Dragon Quest series is your favorite and why? Let us know in the comments!